5 Questions Advisors Should Ask When Interviewing Fund Managers - Valuentum Securities Inc. These are not your typical questions. These are the questions advisors should ask to help find the most analytical fund managers. The questions don’t cover strategy or market outlook, but instead hit upon the analytical foundation of the fund manager, which could be more important than anything else. Can you explain the difference between ROA, ROE, and ROIC? What you are looking for in the answer is a response that goes into the pitfalls of using return on assets (ROA) and return on equity (ROE) as a measure of a firm’s ability to generate value for shareholders. Ideally, you’d want to hear a response that says ROA is muddied by the inclusion of non-operating cash in the denominator and that ROE is impacted by leverage (assets divided by equity). The very best of fund managers will refer to the DuPont (DD) equation in explaining that the third term when breaking apart ROE is leverage. The best answer may explain how some firms can hide deteriorating profitability (net income divided by sales) and asset turns (sales divided by assets) by taking on more and more debt to bolster ROE. What you want is an answer that says ROIC is the best measure of a firm’s ability to generate economic value for shareholders. The very best answer will include a response that says return on new invested capital (RONIC) is the most informative measure of a company’s ability to continue to generate economic value for shareholders. RONIC is calculated by taking NOPLAT (net operating profit less adjusted taxes) divided by net new investment (capital expenditures less depreciation adjusted for working capital). Be wary of fund managers that just rely on ROE and ROA. These measures provide some information about the return potential of a company, but they have their pitfalls. Every fund manager should know about them. Would you rather own an overvalued stock with a wide economic moat or an undervalued stock with no economic moat? The answer that you want to hear is something that goes into the concept that a company’s competitive advantages (economic moat) are already incorporated into the valuation. A firm’s economic moat translates into an ability to generate elevated RONIC, and this elevated RONIC is reflected in the company’s free cash flows, or the relationship between NOPLAT and net new investment. Said differently, the moat consideration is secondary to the valuation consideration. Ideally, you’d like to hear the fund manager say that a great company is not always a good stock, meaning that some of the widest economic moats can be some of the worst market performers. Savvy fund managers may even explain how recent research has indicated that wide moat stocks underperform others with weaker competitive advantages. The savvy fund manager will understand that even a poor company can be a bargain. You want to hear the fund manager explain the difference between a good company and a good stock. As investors, we’re interested in good stocks. If a company’s net income is increasing but cash flow from operations is falling, what is going on? This is a question that tackles a fund manager’s knowledge of financial analysis, and to a larger degree, the ability to identify firms with strong earnings quality. The question directly addresses the cash flow statement, and specifically the cash flow from operations section. What you want to hear is an explanation that working capital changes (inventories, receivables, payables) are impacting the cash dynamics of the business negatively. Ideally, the fund manager could talk about a retailer’s inventory build before the holiday season—JC Penney (JCP) could be a good example--or Boeing’s (BA) development of a new airplane and how that may weigh on cash flows. A discussion about the risks of default would be excellent, particularly in the context of payables and/or the cash conversion cycle. The savvy fund manager will understand the importance of earnings quality and have an in-depth understanding of the cash flow statement. How does the P/E ratio, EV/EBITDA multiple, and discounted cash flow model differ? You may get an answer that includes the definition of each of these metrics. For example, the P/E ratio is the price per share of the stock divided by a company’s earnings per share. The EV/EBITDA multiple is enterprise value divided by earnings before interest taxes, depreciation and amortization. The discounted cash flow model sums the present value of future free cash flows in arriving at an estimate of a company’s value. The fund manager may explain that a P/E ratio, EV/EBITDA multiple and the discounted cash flow model are used to set a value on the stock. This is true. But what you really want to hear in the answer is that the P/E ratio and EV/EBITDA multiple are shortcuts to the discounted cash flow model, and that the discounted cash flow model helps break apart the individual drivers to arrive at a better estimate of intrinsic worth. 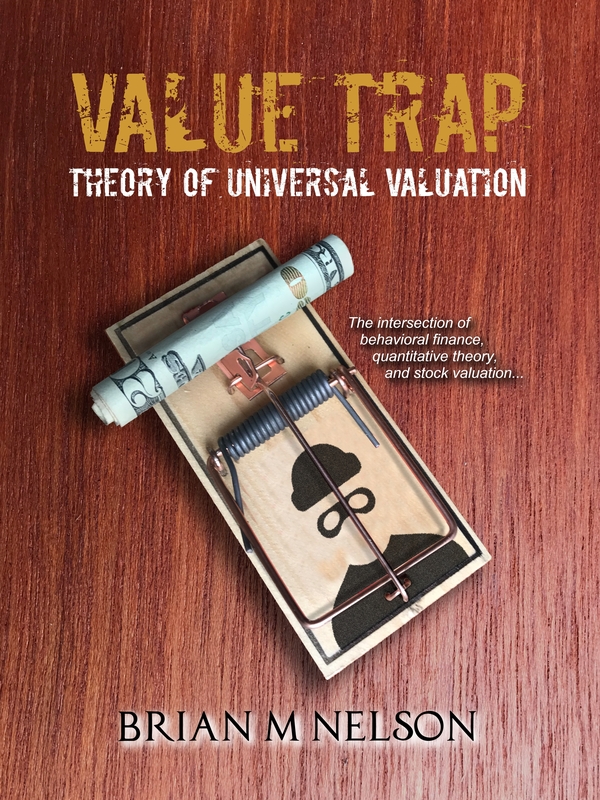 You want to hear the fund manager say that the P/E ratio and EV/EBITDA multiple are great ways of explaining valuations in short-hand, but only through the application of a discounted cash flow model can value be estimated. How does the dividend impact a firm’s valuation? 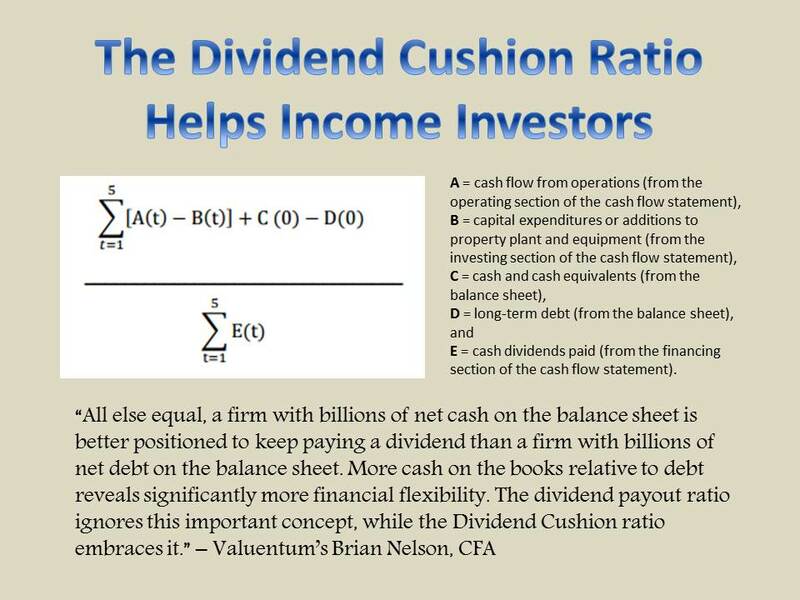 What you want to hear in the answer is that earnings (as a part of cash flow from operations) and free cash flow (cash flow from operations less capital expenditures) drive the valuation equation and that the dividend is a result of strong free cash flow generation (not a driver). You want to make sure that the fund manager doesn’t lose sight of the company’s valuation under any circumstance. This will help ensure that he/she is prudently deploying the fund’s capital in the best risk-adjusted opportunities available on the market. For example, you may not be comfortable with the manager chasing risky 10% yielders such as Seadrill (SDRL) or overpaying for a company’s dividend track record, as arguably in the case of Federal Realty (FRT), which has raised its dividend in each of the past 45+ years but is mighty pricey. A version of this article appeared on our website September 2014.